- Founder of Afrolynk and over 13 reputable years of professional experience in the Tech industry and the African startup ecosystem. He is a technology business leader, an agile coach and an innovation specialist. - Visionary Entreprenuer, Award-Winning Innovator, Thought Leader and Speaker, Founder & CEO of Ukwowapi, a location based service provider, Steve also runs "The Africa Investor Master Class" which is a series of business and investment training seminars. - He is the European Vice Champion of public speaking. 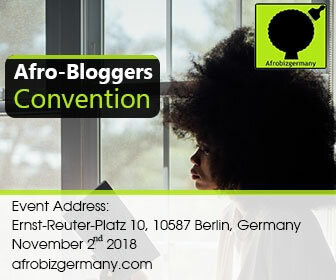 As a Manager West Africa at the German-African Business Association, he uses his voice to positively impact the image of the African continent and provides innovative start-ups with a platform in the coporate world. - One of the most sought after German-based Make-up Artist and Beauty Educator in the German African Diaspora. She has mastered the art of enhancing a woman natural beauty, specializes in bridal and editorial makeup and is founder and CEO of Face Beat Boulevard, a platform where she shares her work, and beauty tips. - He is an Entrepnuer at Viske oy and he is also Co-Founder and Chairman of Afrofinnsry. He has dedicated most of work at Afrofinns to promoting diversity and inclusion,supporting cultural development, encouraging civic engagement through diverse events, and entrepenuership, educational programs and social media. - He is an Award winner, pubished Author and Poet, Event Consultant, MC and youth empowerment Consultant. He is also the CEO of AFRICA4U and the founder of the Africans in the Online Network.